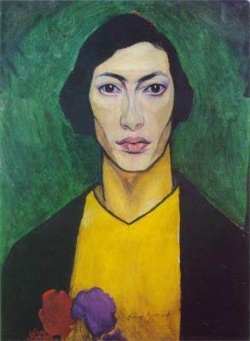 Nathan Isaevich Altman (Натан Исаевич Альтман; 1889–1970) was a Ukrainian and Soviet avant-garde artist, Cubist painter, stage designer and book illustrator. Ross Wolfe, "Natan Altman’s proletarian futurism", The Charnel-House blog, 23 Jan 2015. This page was last modified on 21 April 2016, at 09:35.